October 4, 2018 — A few years ago, the Community Foundation needed to hire a new accounting firm. It is a routine process that happens every few years. It was no particular secret — nothing in this town ever is — and we were actively shopping for firms. During that process, I got a call from Carl Herbein wanting to get together for breakfast. I don’t think he said why, and it wouldn’t have mattered. Given his involvement in the community, meeting Carl for breakfast at what old-timers still call “Arner’s” was a routine event. But that particular breakfast had a specific purpose: Carl wanted to talk to me about the importance of hiring a local accounting firm if that was at all possible. He talked about the importance of supporting Berks County businesses so that they could support Berks County. It was a thoughtful and passionate plea. Carl Herbein cared so much about the success of this community that he took me to breakfast to pitch me on the idea of hiring one of his competitors to do our work. I’ve had a lot of breakfasts with banks, law firms, accounting firms and investment managers in the past 25 years. That never happened before or since. When it came to commitment to the community, Carl Herbein was the gold standard. You can see it in the work he accomplished, the firm he built and the people he inspired and supported. Carl served as Chairman and Treasurer of the Greater Reading Chamber of Commerce and of the Berks County Convention Center Authority. He served as a Director of the Greater Berks Development Fund and as a trustee of both Alvernia University and his alma mater Elizabethtown College. I know there was more, but Carl was, to put it mildly, exceedingly modest about his contributions, preferring to defer the credit to others. Every organization who worked with Carl can cite some project that wouldn’t have happened without his guidance and I know what mine is. Many of us will remember there were a lot of skeptics. Last month, we celebrated seventeen years of enjoying those venues because Carl and Mike Ehlerman and a team of dedicated people managed it well and made it work. The work he accomplished for the community speaks for itself. It is the gold standard. Carl’s firm, Herbein + Company is what I refer to as one of Berks County’s “iceberg companies.” We see only a small portion of what the company does—and we miss the breadth and the scope of it. Herbein + Company is situated in nice offices over on Century Boulevard. To walk in there is to walk into any accounting firm. Busy people, printers whirring, phones ringing. To look at that office you’d really have no idea that you were in the headquarters of a firm that employed 200 people across nine offices that span the entire commonwealth and into New Jersey. And, as you dropped off your taxes at the front desk, you probably wouldn’t know that this was the unquestionably the leading financial advisory firm to the $45 billion American dairy industry. That is an amazing asset for a community whose prime economic drivers include a robust food processing industry. Carl built his firm here because he loved Berks County and wanted it to thrive. Carl helped strengthen organizations and he built an amazing firm. But his most enduring legacy will be through the people that he encouraged and supported in their efforts to improve our region. That’s a legacy that will outlast any building or any one company. And it has to start with Kathy. The hardest part of drafting these remarks was typing “Carl” without typing “and Kathy.” In my mind, the two have always been inseparable. 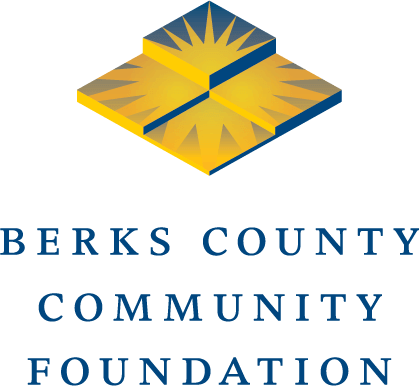 Just as Kathy sat at the kitchen table typing and filing during the early years of building the firm, Carl supported Kathy when she undertook the challenge of enrolling in Alvernia—the first step on her path to becoming the only person to chair the boards of both Alvernia University and Berks County Community Foundation. There are no better board chairs than Kathy Herbein. And nobody could be more proud or more supportive of her efforts than Carl was. A next generation of the family is already making their mark both in the business Peter is building, the success Andy is having helping businesses grow and their families involvement with organizations like the Boy Scouts, Children’s Home, Olivet’s and the United Way. Carl encouraged and expected the team at Herbein + Company to be involved in the life of the community. Many of you may not know that there is a monthly award given to a “Herbein Hero”—a cash award given by Herbein + Company to community organizations seeking to make a difference in our region. But as I look around this room, I’m guessing that many of you do know that Herbein people are deeply involved in the community at every level. I can’t remember the last Leadership Berks class that didn’t have someone sponsored by Herbein + Company. If I meet with a nonprofit board and there isn’t someone from Herbein on it—it’s usually because Herbein is the auditor. This isn’t accidental, it’s not just something that happens. Bob Firely is a partner at the firm and followed in Carl’s footsteps as both the Chair of the Chamber and as President of the Pennsylvania Institute of CPAS. Through his efforts to inspire and support another generation of community leaders, Carl proved that he was the gold standard in community leadership. Carl accomplished great things for our community. He built a tremendous firm that employs hundreds and helps grow our local economy. He inspired and supported generations of future leaders for our community. Carl Herbein was the gold standard in civic leadership. Carl Herbein was also my friend. And he was the gold standard for human beings.